I've previously showed how you can save time by working on duplicated artboards in parallel and how to rename and save artboards with unique names for seperate files. It is also nice to know, how artboards can be rearranged. There are two cases where I often find this feature useful. 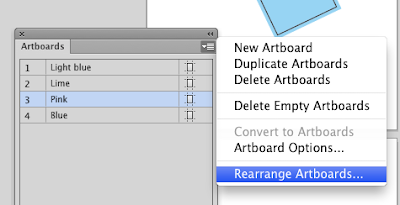 By tracking artboard up or down, like in layers panel, the order of the artboards can be changed. But this is not a dynamic feature and nothing will be changed until artboards will be rearranged. If this dialog box appears. 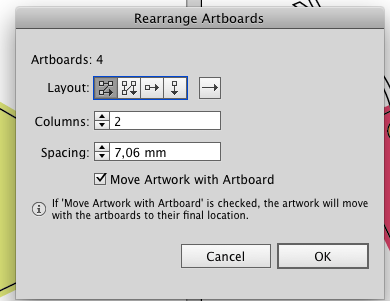 To fix this, choose "Rearrange Artboards..." from the drop down menu on top right corner. In the dialog box, choose the options, you want to apply and then press OK. 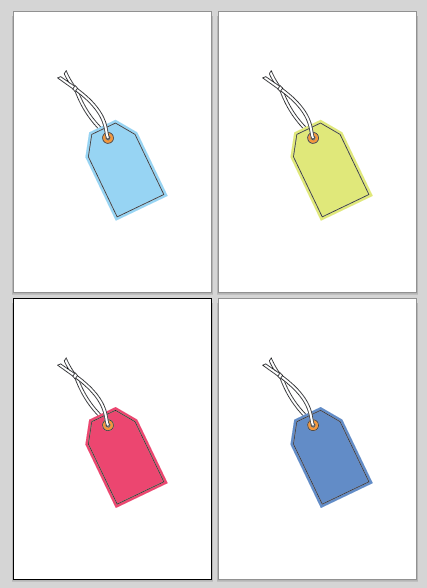 The artboards are now nicely placed in to columns, which gives you a better overview. Please comment if you find this useful or want to share how you put artboards to best use in your work.